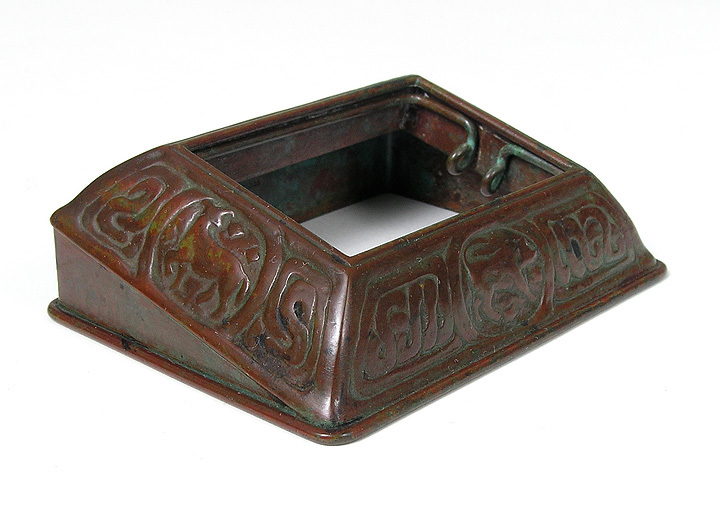 The Zodiac pattern was one of Tiffany Studios's most popular patterns. They produced it in several finishes. 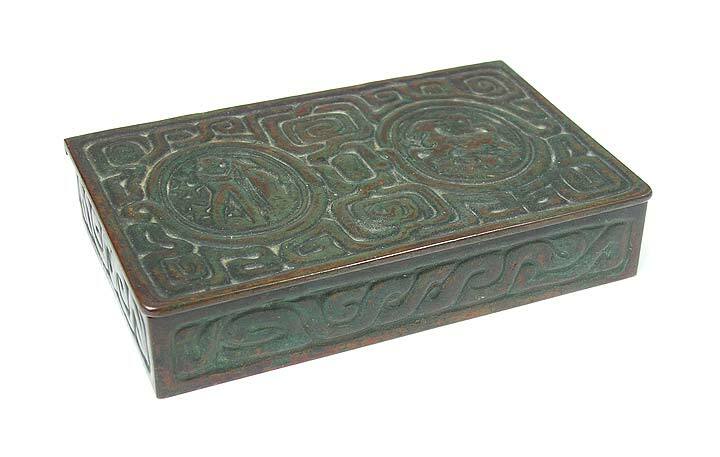 Occasionally, they were special-ordered with hand-painted enameled Zodiac symbols. 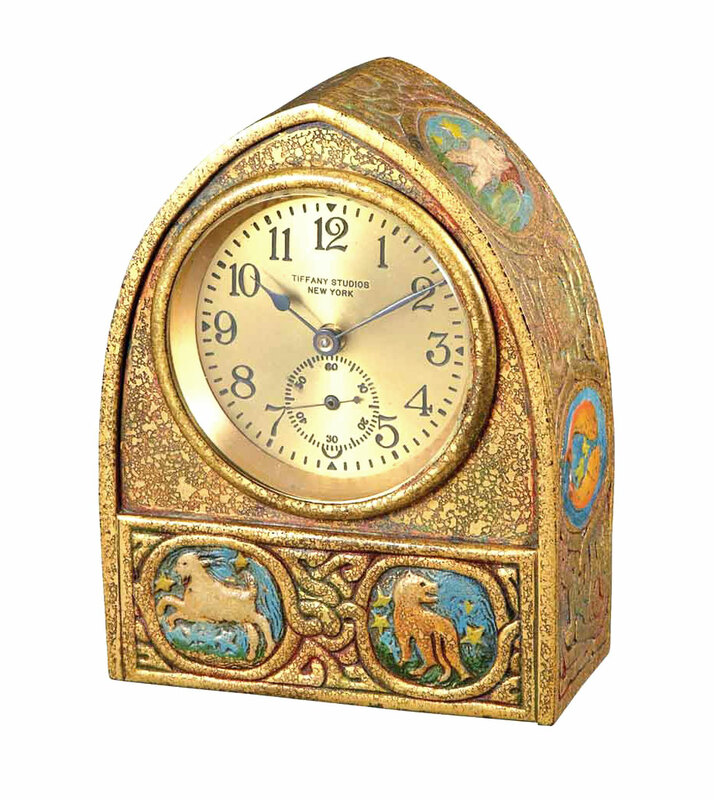 Clocks are rare to begin with and much rarer with the enameling. So what are you waiting for? This is a great item. Signed. Excellent condition. Everybody needs a frame and this one is particularly nice (and rare) because it's horizontal. 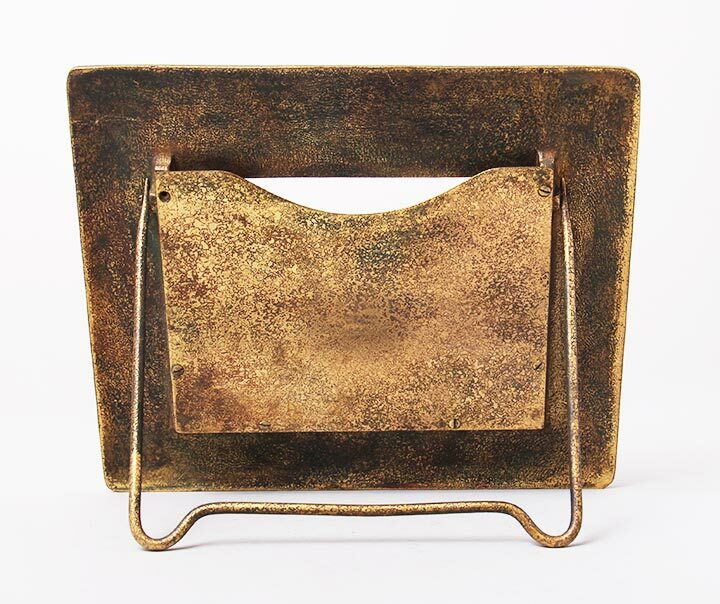 95% of Tiffany Studios' frames are vertical. 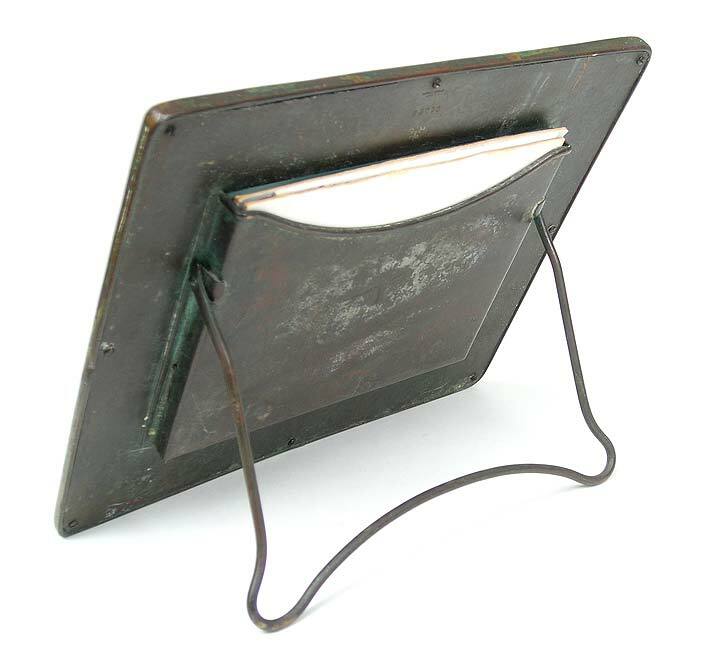 This one measures 7½" x 8½" for a standard 4" x 5" photo. 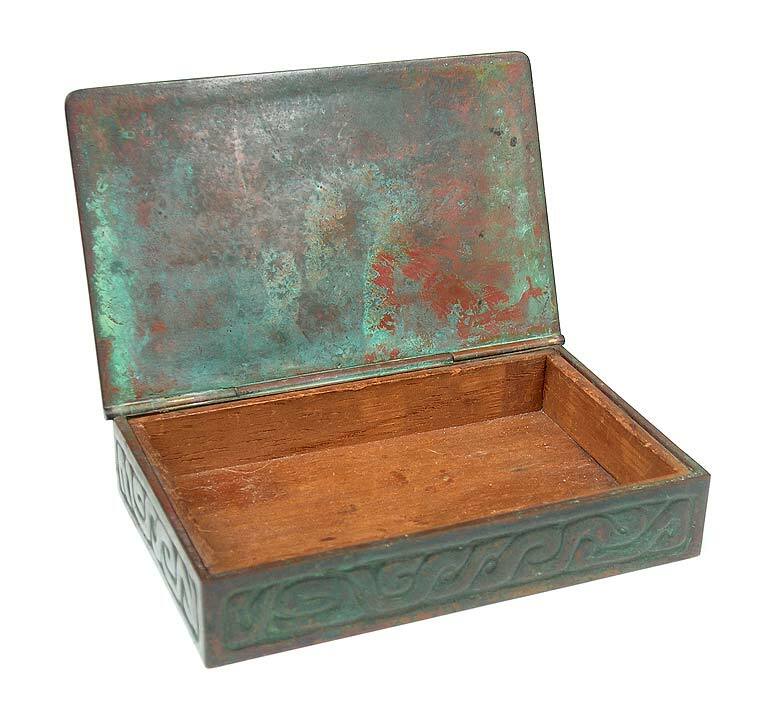 Good original patina. Signed. 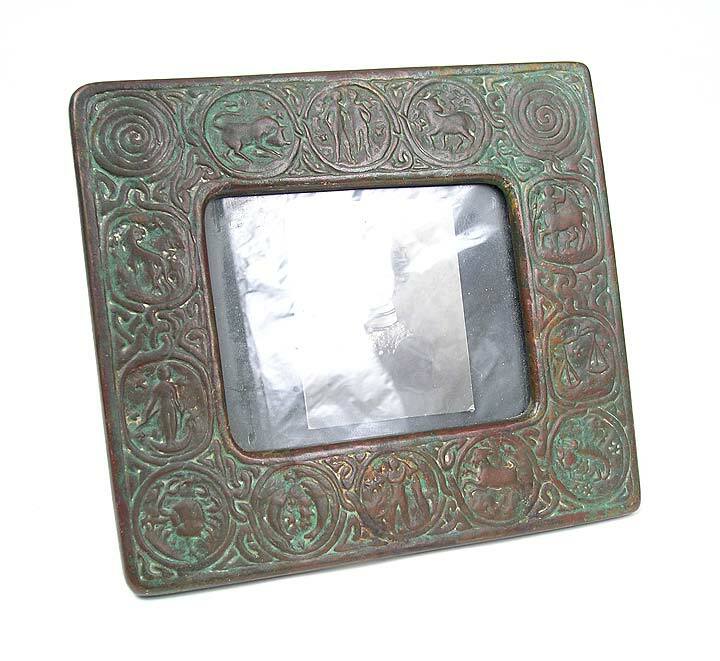 Zodiac is not a rare Tiffany Studios pattern because it was very popular when it was new. 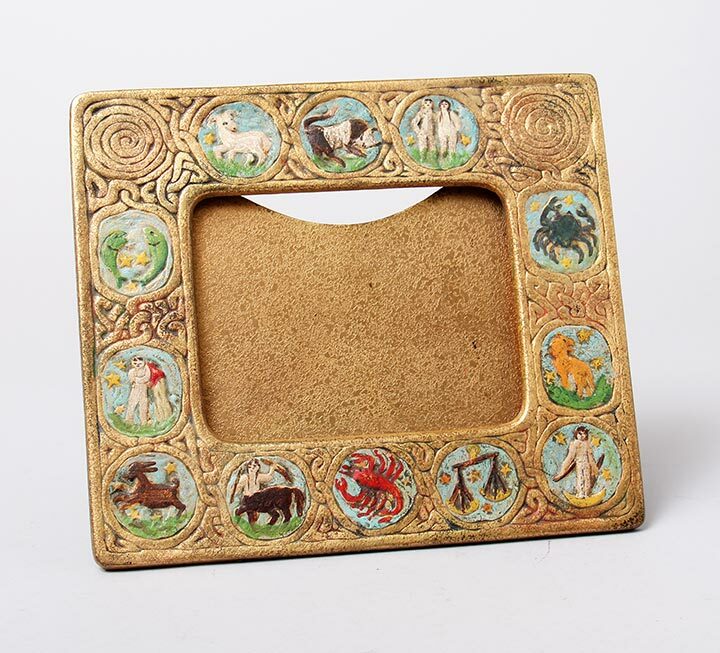 What makes this calendar frame rare is the beautiful original enameling. Nowadays people use these frames for photographs. It holds 4" x 6" photo. 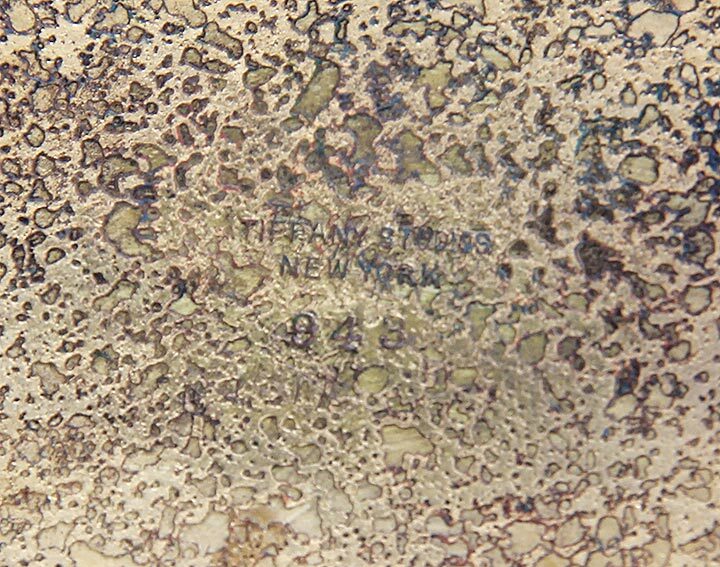 Signed TIFFANY STUDIOS NEW YORK 943 on the back. Very good condition. A very useful item as a paperweight and a perpetual calendar. The paper inserts are missing, so it's usually used for a wallet-sized photo. Excellent patina. Signed. Mint condition. Very reasonable price. 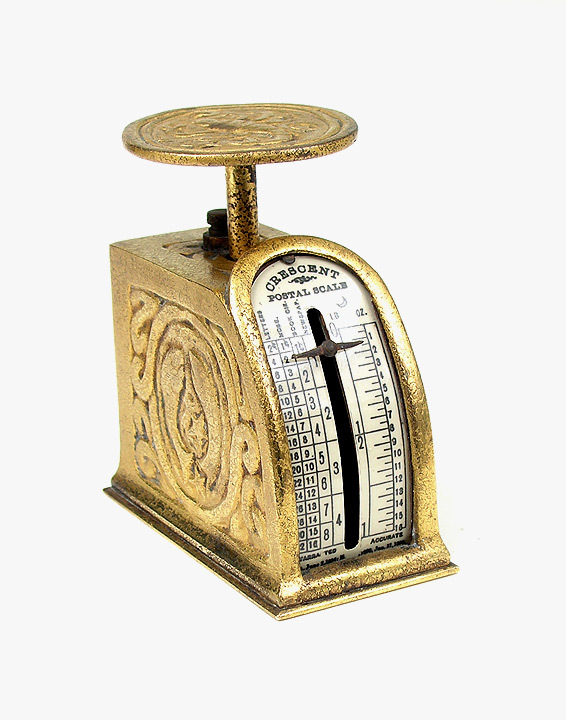 Scales are very desirable items in any Tiffany Studios desk set. 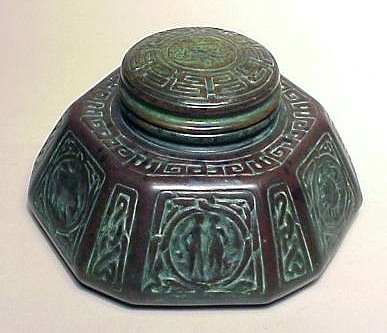 This Zodiac example has a #10 patina. 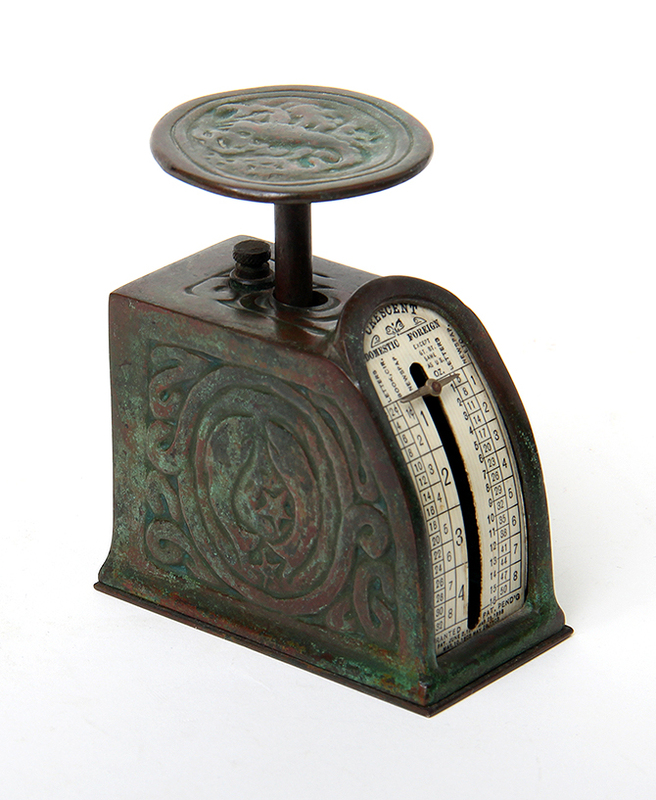 Scales don't get any nicer than this example. Signed. Original working condition. Zodiac scales are rare, even though Zodiac pieces in general are not. This is a fine example, with very little wear to the gilding. Signed. 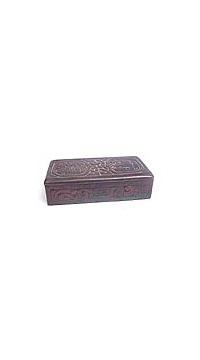 A utility box is a very nice addition to any desk set, well, because of the utility. But you didn't need me to tell you that. Great for rubber bands, paper clips, etc. Nice original patina. 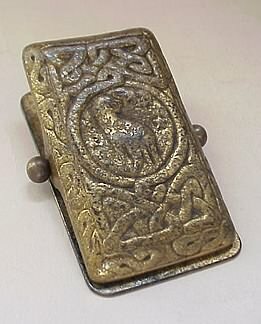 3½" x 5¼". Signed.